Hello there, our names are Fred and Ginger and we are 10 year old brother and sister. We came to the lovely people here because our owners had to move and could not take us with them. We were very much loved and fussed in our previous home and, although we were being looked after really well here, we were a bit sad and bewildered. Because we had been together our whole lives, we needed a home where we could stay together. Dexter waited patiently for his forever home. He is an American bull dog puppy and is a great bundle of fun. You may have seen him when he made his TV appearance on This Morning – he had bundles of fun and made lots of new friends! This is Sadie, she came in to our care with her kittens. Sadie is very friendly and loves attention. This is Florence, she is a beautiful 17 week old kitten who is a real sweetheart. She loves to play, but also loves cuddles. She is very unusual in that she has a white speckle undercoat, which gives her a beautiful black speckle effect. These beautiful little kittens are 7 weeks old, they are full of fun and found their forever homes. Rosie and Ollie were about thirteen weeks old and were born on the streets. Fortunately, they were found and brought in to our care. where they thrived. They were shy, but loved to play and be held. These two kittens are very special, they have had a tough life and needed a little bit of TLC. Lina is a beautiful little dog who came into our care when her owners could no longer care for her. She is a live wire and loves exercise. She also needs lots of love and cuddles – having her tummy tickled is her favourite thing! These gorgeous kittens were about 5 weeks old and were found, with their mother, taped up in a cardboard box by the side of the road in Harlow. I came her after I was found living under some decking with my babies. 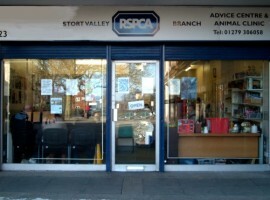 The people here at the RSPCA looked after us very well and I was really happy when my babies found loving homes. I love having a good head rub and am told that I’m very sweet.